Apple has just announced watchOS 5, and has confirmed that if you own the original Apple Watch you won't be able to download the new software when it's released later this year. Only the Apple Watch Series 1 and above will be able to download the next-gen software when it's released later in 2018. 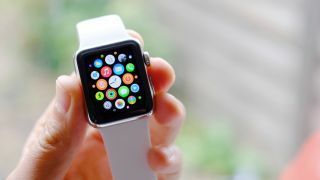 The Apple Watch Series 1 was announced alongside the Apple Watch 2 in 2016 and replaced the original generation of the Apple Watch in the company's line up of wearables. WatchOS 5 marks the first time Apple has dropped support for a variant of the Apple Watch with a new software update, but it's something the company regularly does for its other ranges of devices. It's likely the tech on the original Apple Watch would struggle with the new features provided in watchOS 5, so if you want to use those new features you're going to have to upgrade to a more recently released smartwatch. We're expecting to be able to download watchOS 5 software to compatible devices in September this year, a whole year after watchOS 4 was released to the Apple Watch.